We Interrupt This Travel Log – with Breaking NEWS!!!!!!!! 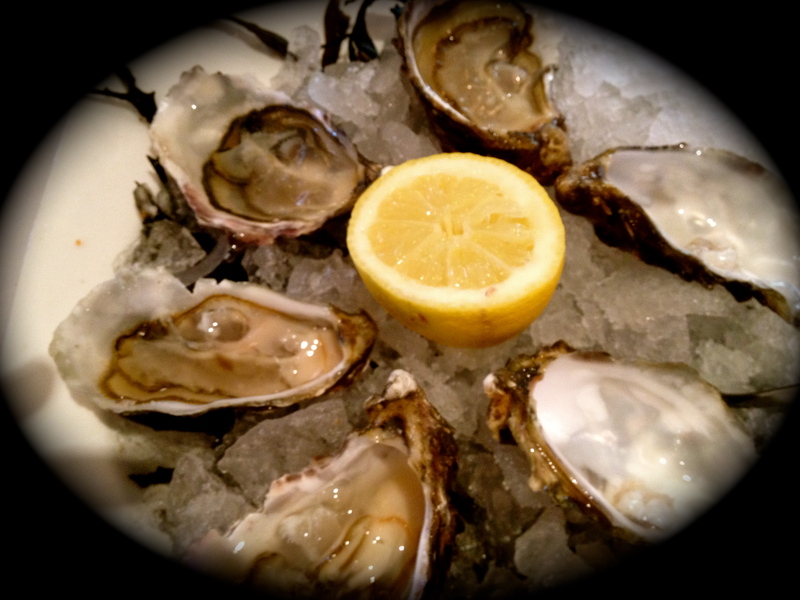 What do you say about eating the freshest OYSTERS you’ve ever eaten – overlooking a 16th C Chateau……..
Saint-Germain-en-Laye was founded in 1090 by Robert the Pious who built a convent there. 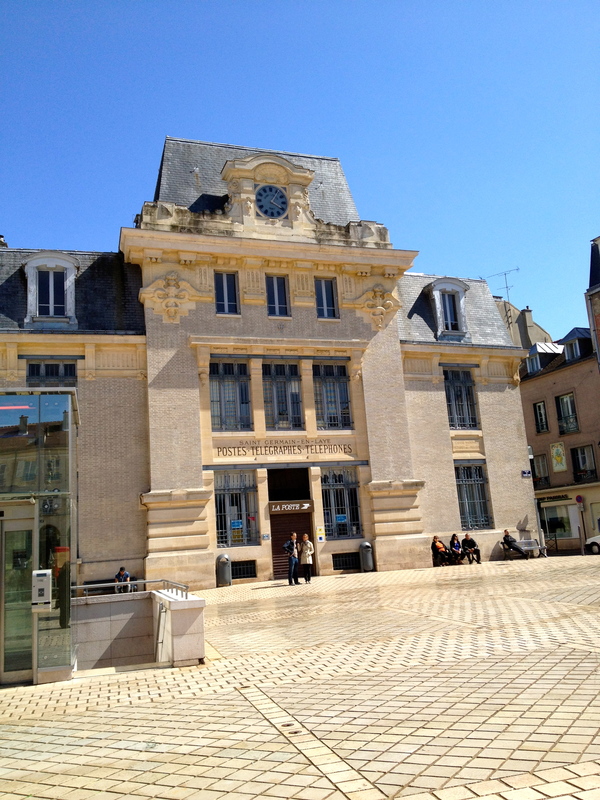 It is a commune in the Yvelines department in the Île-de-France in north-central France. 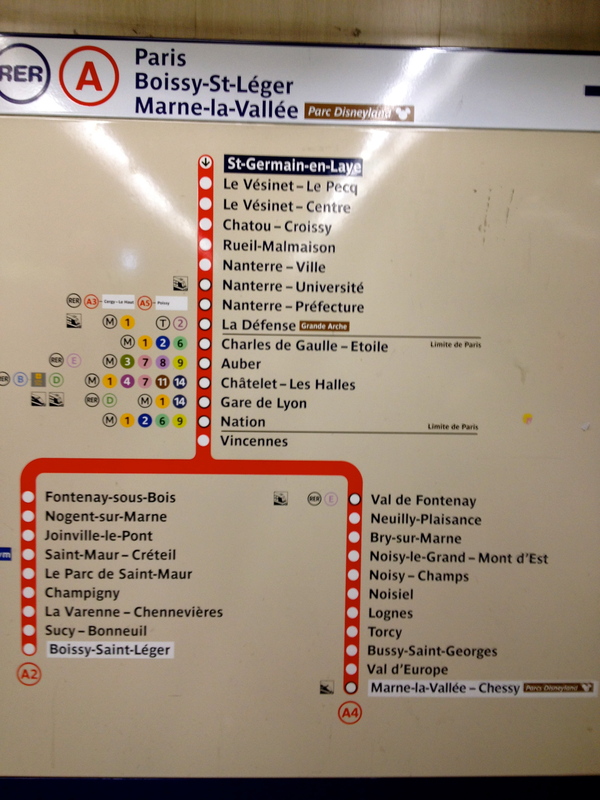 It is located in the western suburbs of Paris 19.1 km (11.9 mi) from the centre. On the official website it says ” With its elegant tree-lined streets it is one of the wealthiest suburbs of Paris, combining both high-end leisure spots and exclusive residential neighborhoods (see the Golden Triangle of the Yvelines). 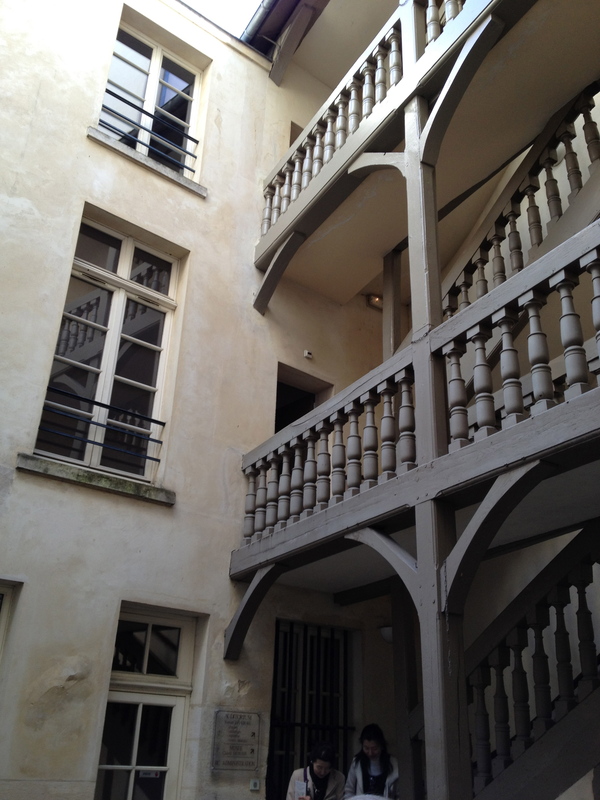 Claude Debussy (1862–1918), composer of European classical music was born here. This is also an area where many American Expats live, or Brits so, ofcourse, there is a lot of English spoken here. There are many lovely homes to look at and a lot of GREEN everywhere. out here today, to an area I really didn’t know existed was a pleasant surprise. Why? First of all, something as simple as AIR. Yes! 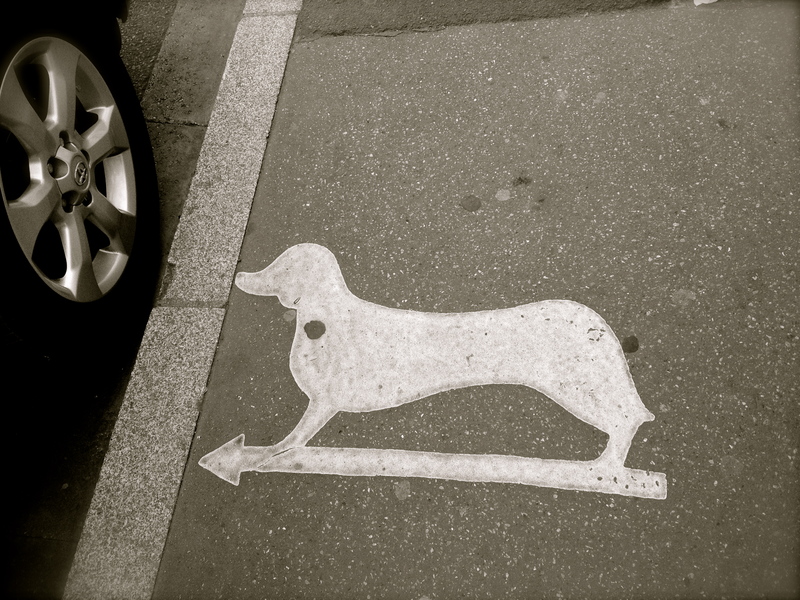 The air is fresher, it’s perched high up, overlooking Paris, there is no dog poop on the sidewalks, (how does doggy know to go in the gutter from this sign???) 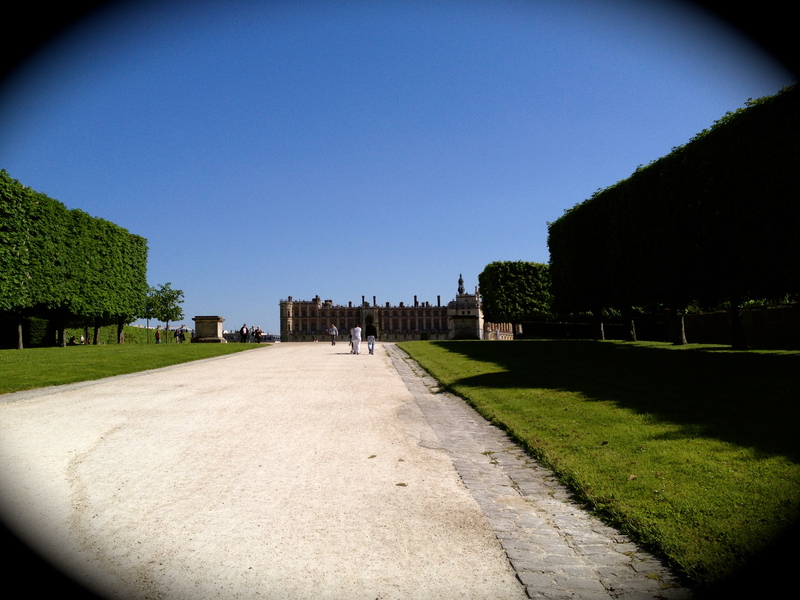 it’s surrounded by a huge forest and it was the home of Louis the XIV while he was waiting for Versailles to be built. 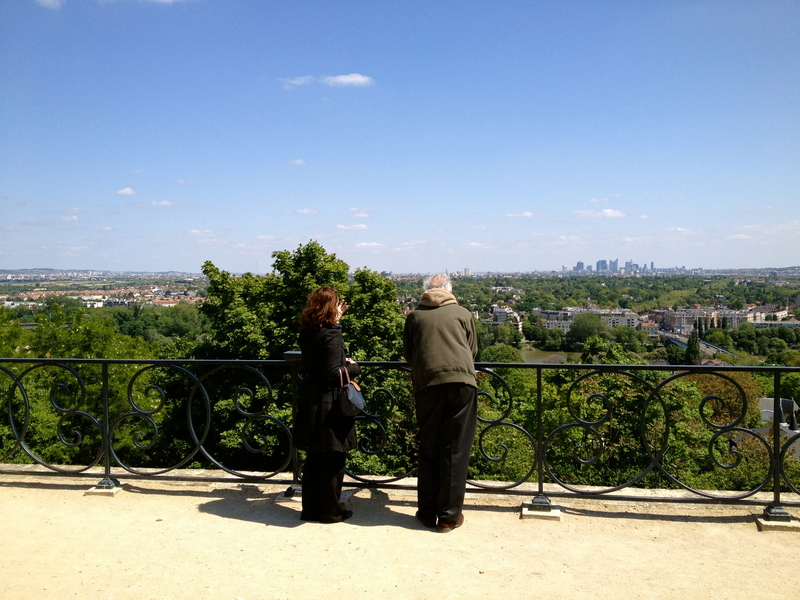 The homes are anywhere from the 16th century to the 21st century, and one can see La Defense in the distance so clearly, and beyond. The Chateau Saint Germain has the most lovely gardens lined with the fullest and greenest of Linden Trees you’ve ever seen. It is like walking around Versailles only without the 10,000 visitors each day and parades of tour buses marring the vista, creating pollution or with a plethora of souvenir shops. It was a bit of a Shangra La out here, and I can say this, because I do live in the suburbs of Paris myself, but my commute towards my home is nothing like the commute WEST. Why is it, that in all these lovely city areas, that it’s by going WEST – that you have such open spaces, clear air and serene beauty? and we went with our friend and had the best time all afternoon. After having a Cottage Pie dinner for another friend, Cate, who is leaving soon for Indonesia, 😦 we received the two most exciting and fun video phone calls (on facetime) EVER. and THAT is ONE MOTHER’s DAY I will not forget in a loooooooong time!! So much fun. Thanks to my kids for making it so fun!!!!!! Thanks to IRIS, my little talking Rooster Girl!!!!!!!! Doesn’t it though? LOL, that was funny! Oh! I know!!! HOW, could I forget my beautiful WESTWISE court?!?!?! LOL!!! 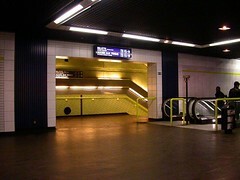 OR Pasteur – rue de Pasteur!!!! You are funny!